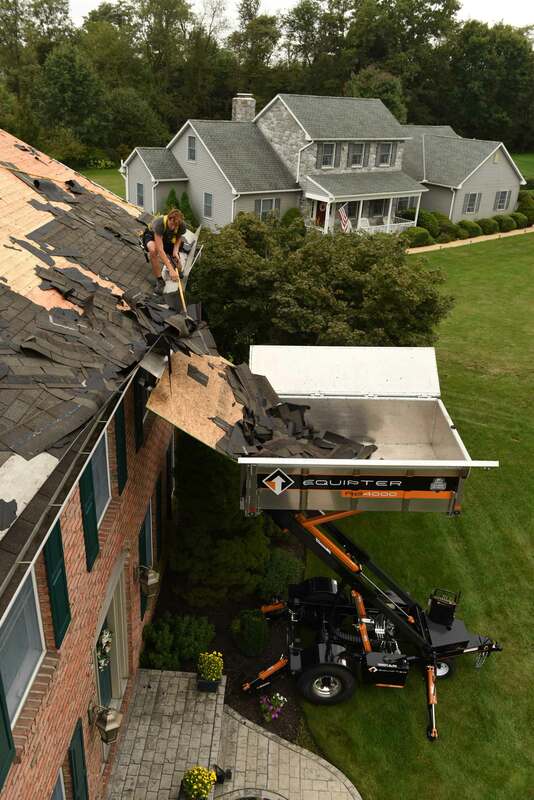 Work smarter with the driveable RB4000 lift, designed for roofers, by roofers. 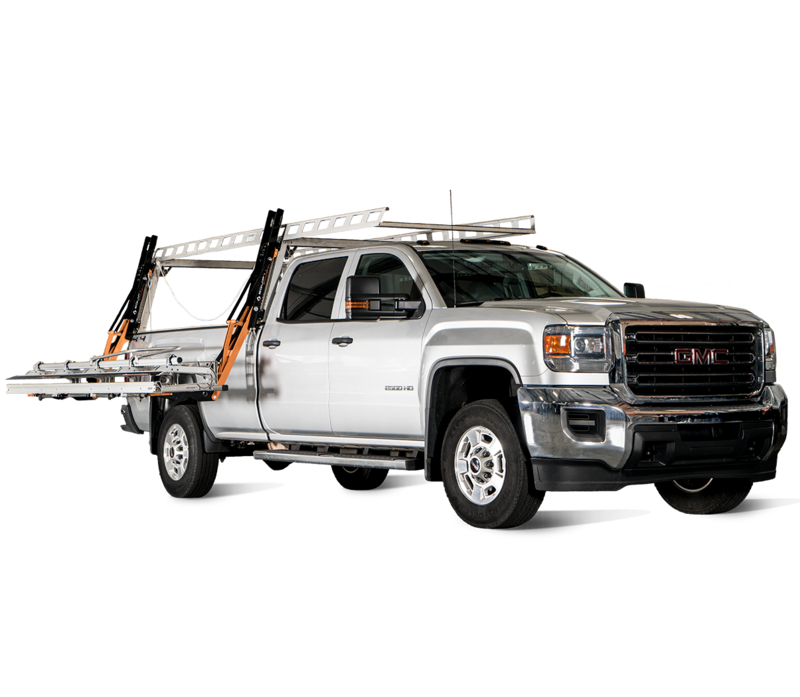 From taking the hassle out of debris management to reducing the risk for property damage, its 12-foot lift, 4-foot roll-back feature, and 4,000 lb capacity will change the way you work, get customers, and earn referrals. 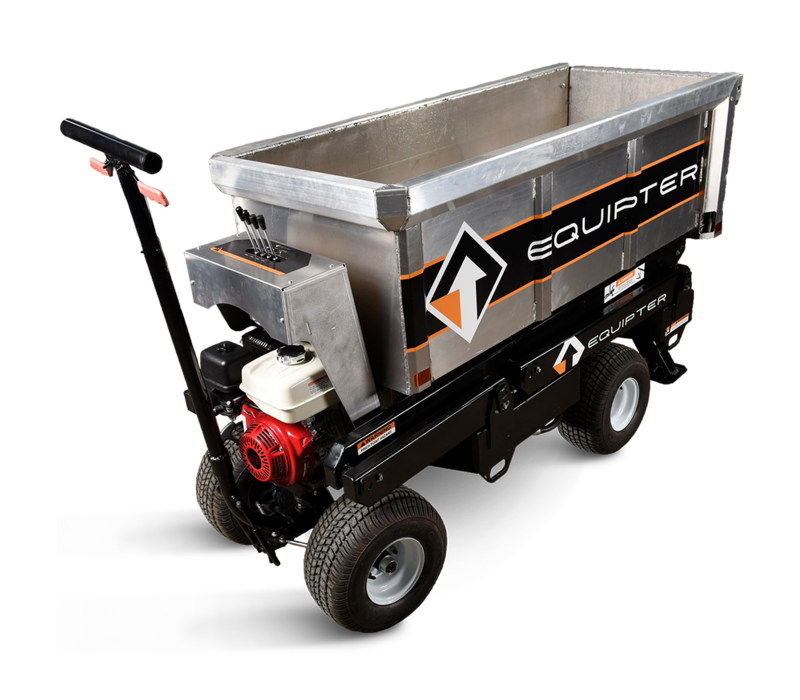 Whether you’re hauling landscaping materials or moving roofing debris, this self-propelled 4,000-lb capacity trailer makes it easier to get the job done faster—and with far less heavy manual labor. 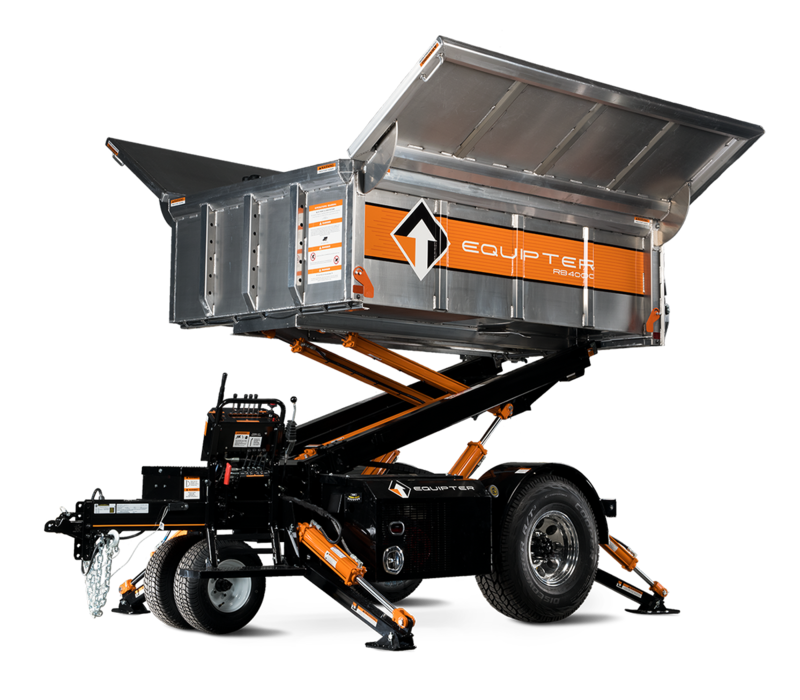 Save hours of extra manual labor in hard-to-access areas with the self-propelled Equipter RB2000. 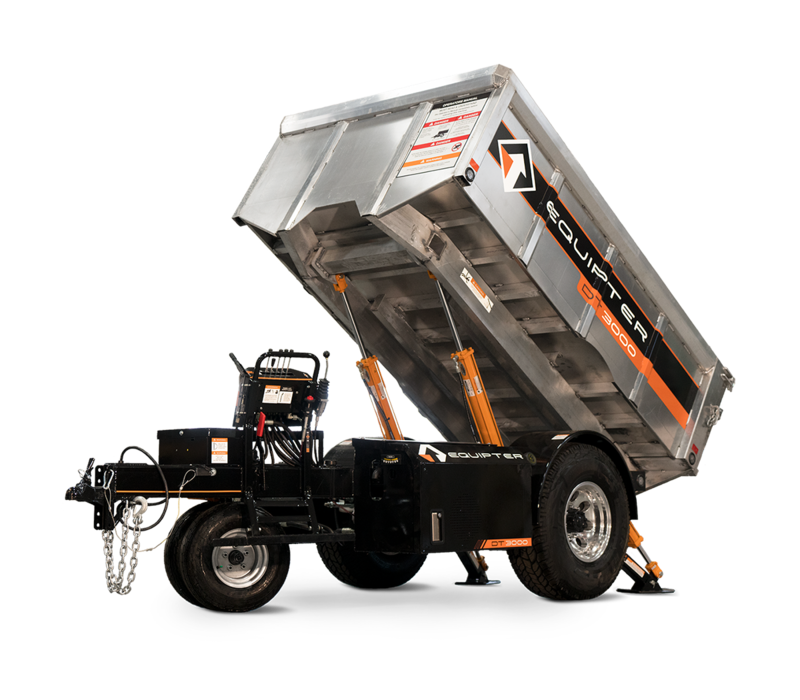 The rugged, super-compact container, which holds up to 2,000 lbs, allows you to move heavy, bulky materials, like shingles, debris, dirt, or drywall. Let our driveable, compact crane do the heavy lifting for you. 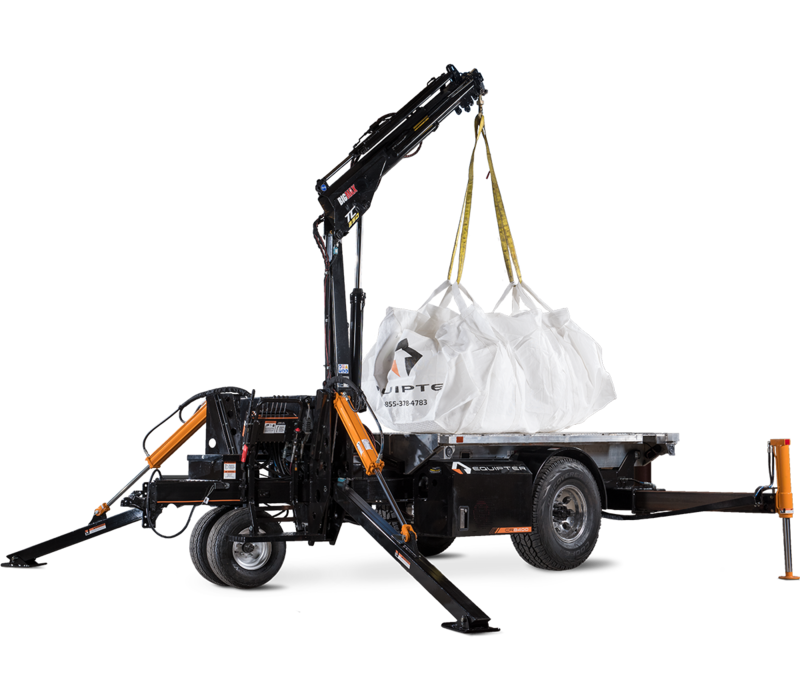 With a tight turning radius, wide tires, and a 6-foot wide chassis, the CR8000 series crane takes heavy or bulky materials where larger cranes simply can’t, like residential properties. Make life easier when it's time to wrap windows or craft flashing with the Stow-A-Brake brake storage system. Engineered with gas springs, the system extends to working height, so you can easily use your brake without removing it.